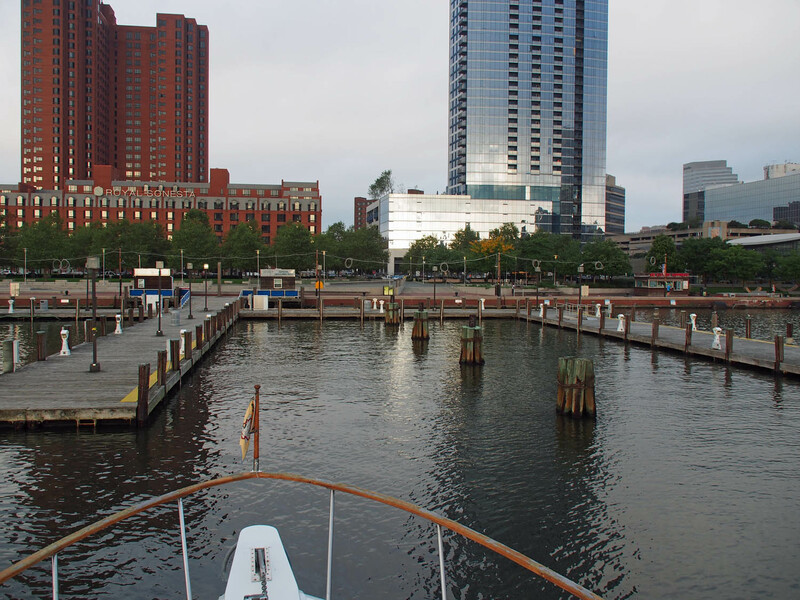 Backing out from our dock in the Inner Harbor. It could be tough to get a place here before the Freddy Gray incident. 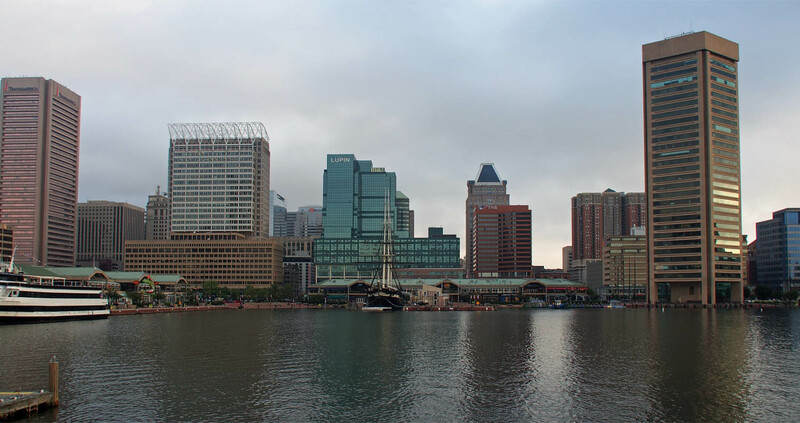 We arrived in the Baltimore Inner Harbor on 8 September and left on 20 September (Thursday). That was a really long stay, especially after our 12 nights in NYC and over a week with the boat being fixed at Cape May. This time we were waiting for the North Carolina waterways to get sorted out. Before the storm hit there was a small chance of it coming north and hitting the south end of the Chesapeake, so we decided just to stay where we were and in nearby Annapolis. One last view of Baltimore before we left. From Annapolis we will try to make it 90 miles down to Chesapeake Boat Basin in Kilmarnock VA. We wanted better weather, but it appears we have 2 foot waves in the north part of the bay building to 3 as we go south. The small craft warning was originally only for today but was recently extended to tomorrow. The wind is from the NE at 10 – 15 mph so I’m assuming following seas, my least favorite. 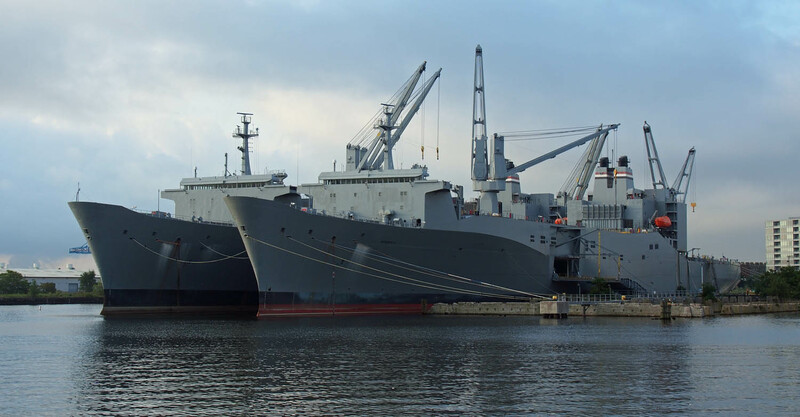 As we left the harbor area, these looked like navy supply ships. We’ll see how it works out. If things get too rough as we progress southward we’ll duck in at Solomons and wait it out a bit. 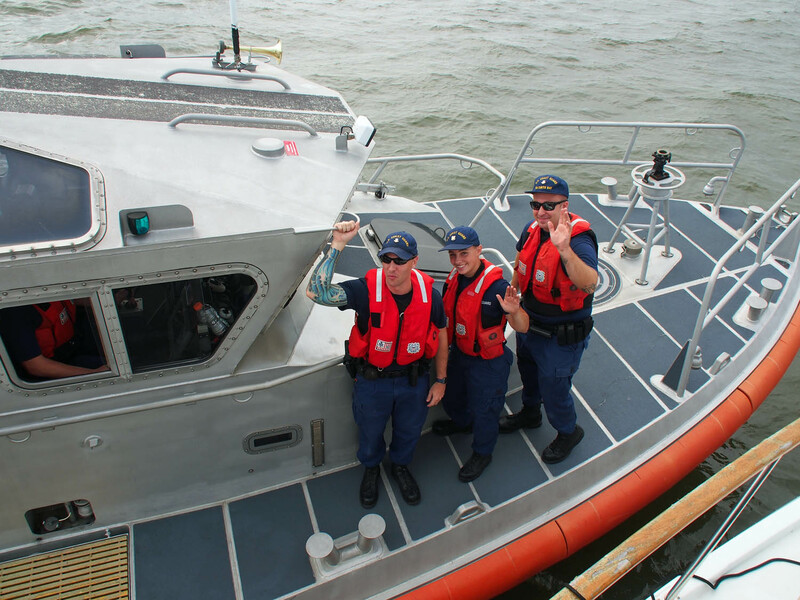 Once out on the bay, we had our third inspection. We were fine. I’m glad they don’t stop me in a car this often. 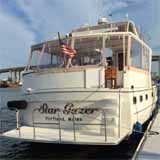 The waterway is fine at least as far as Belhaven Marina in NC, so we will head there. If we can get as far as Cape Lookout (Beaufort NC) we can jump outside and avoid the Cape Fear area which was hit hardest. Going outside before that would mean the Chesapeake mouth to Cape Lookout, 225 miles with no safe (for us) inlet along the way.